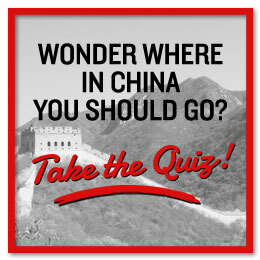 There is no way around it: During your trip around China you will at one point find yourself desperately looking for a toilet. The good news is that there are toilets everywhere. The bad news…? Well, they might not be exactly be like the ones we are used to at home. Here’s a quick guide to the different types you’ll encounter. My father jokes (or so I think) that I have been to every toilet in West-Germany, after spending summers driving through Europe as a kid. He might be right, I have to use the restroom frequently. 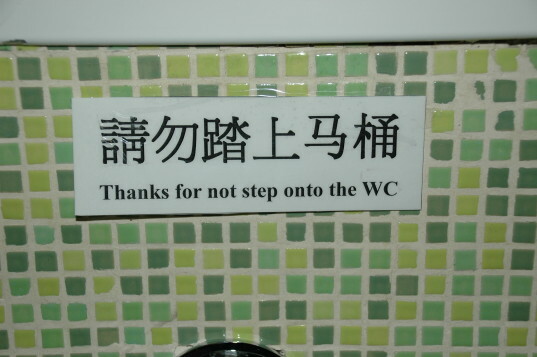 Having lived and travelled in China for 20 years I can’ t claim that I have visited every toilet in China, but I am pretty sure I have tried every type. From the one built over a pigsty in a tiny Yunnan-village, to the toilet on the 28th floor of the Peninsula Hong Kong Hotel with an unprecedented view over Victoria Harbor. For how to best prepare for your toilet visit, please check out my seven tips on what to think about when you need a Chinese toilet. Not really a room, just basic protection against the elements and the curious group of people who have gathered to have a look at the foreigner needing to relieve herself. Don’t expect to be able to flush, since this is basically an outdoor toilet. So watch your steps and breathe very shallow through your mouth. You will normally find these on the outskirts of poor villages or at rest stops if you are traveling along more rural roads. The good thing is that they are everywhere. If you are like me, and suddenly realize you need a restroom immediately, chances are one will be around the next corner, and that is a huge relief. And if the need is big enough, it doesn’t matter much that there are no doors, or only hole in the floor, or no paper. Many of them now flush, but only the most modern have doors with locks. If there is no door, the norm is to face the common area, not the wall. Paper you have in your bag, and since you have practiced, the squatting should be no problem. In the hutongs, the old neighborhoods of Beijing, many people living in the older courtyard houses don’t have private toilets. In the morning and evening you’ll see people in their pajamas walking to and from the public toilets, it all feels very local and intimate. The strong smell of old urine is normally tried covered up by even stronger, cheap incense; I don’t know what smells the worst. These toilets might have a sink, but only cold water and watery soap. Often you can choose between regular and squatting toilet. It’s common to see footsteps on the seat of the regular toilets, because some people obviously can’t do what they need to do without squatting. There might be toilet paper, look for it on the wall outside the toilet booth before you pull your pants down, or see #6 in my 7 Things to Know Before Needing a Chinese Toilet about bringing a friend. 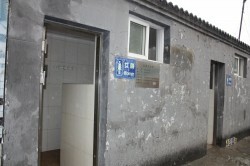 Chinese tourist offices have tried to encourage tourist sights to have better toilet standards by ranking the best toilets with lots of stars or even diamonds. 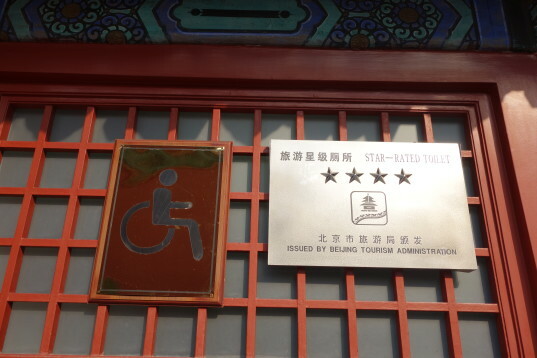 Like one restroom in the Forbidden City is a Star-Rated Toilet with four stars. From my recent experiences it doesn’t look like the prospect of getting their toilet diamond ranked (or happy visitors) has encouraged many managers to make the effort needed, I am not sure what incentives they need. Thanks to the exceptional economic growth in China the last twenty years there is now a middle class that have created a market for nice restaurants, international and domestic fast food chains and coffee shops. In common, these places have nice bathrooms. Clean, with paper, a sink with running water and they are regularly cleaned—everything you would expect from a restroom, really. Still a majority will be squat toilets, but as I have mentioned before, it is nice not to share a toilet seat with one billion other people. And with cheap labor from those who have yet to enter the middle class these establishments can afford to have the toilets cleaned regularly. Luckily, as a foreigner, you can walk into most high-end hotels and ask for the restroom. 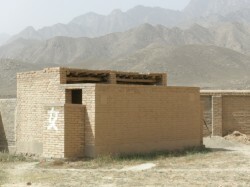 They will be heated in winter, have nice toilet paper, textile napkins to dry your hands and sometimes even an attendant in uniform to turn on the water for you. There might even be hair spray and Q-tips available. Design hotels often have very complicated taps for the water, but they look good. Some restrooms even have a tiny lounge and soft music playing. 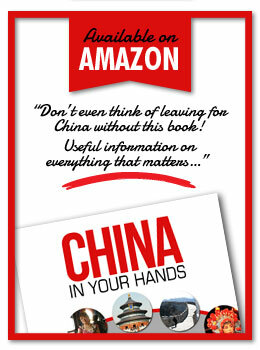 It can be hard to leave and reenter China after a visit here. Oooh, so many buttons and options! Your hotel room is your home away from home and you want it to be nice and functional, and with a working toilet. My experience is that from 4 stars and up, every hotel room will have a western style toilet. They might leak and not always flush properly (even here putting the paper in the bin can be a good idea), but you can at least sit down. And most toilets work perfectly fine. 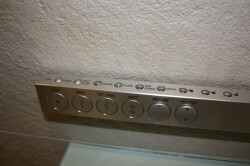 Some are even of the Japanese version, with a dashboard of buttons and functions. So much fun! Guesthouses and hotels with 3 stars and below can give you a lot of interesting solutions and experiences. While many have western style toilets, the room can be so small that you actually have to sit on it to get a shower. Sometimes the bathroom is like a dream. Or you share it with the other rooms on your floor. I guess this is where reading reviews on Tripadvisor can be useful. You give some excellent thoughts on your site. I have been in Japan, Vietnam, and alot of Europe. Very familiar with toilets. And yes it is worse for women. I was in Japan and went out without writing name of hotel. I realized I had put some matches in my pocket. I smoked back the. Luckily, or I still might be hunting for hotel.I printed out China in Your Hands. Some excellent tips for first timers and some good reminders for seasoned traveler. 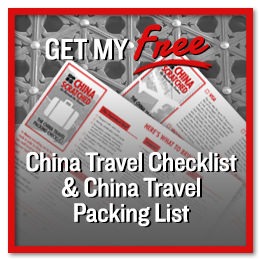 My wife and I leave for China in less than a month. We are on tour group. Thanks for sharing your experiences.